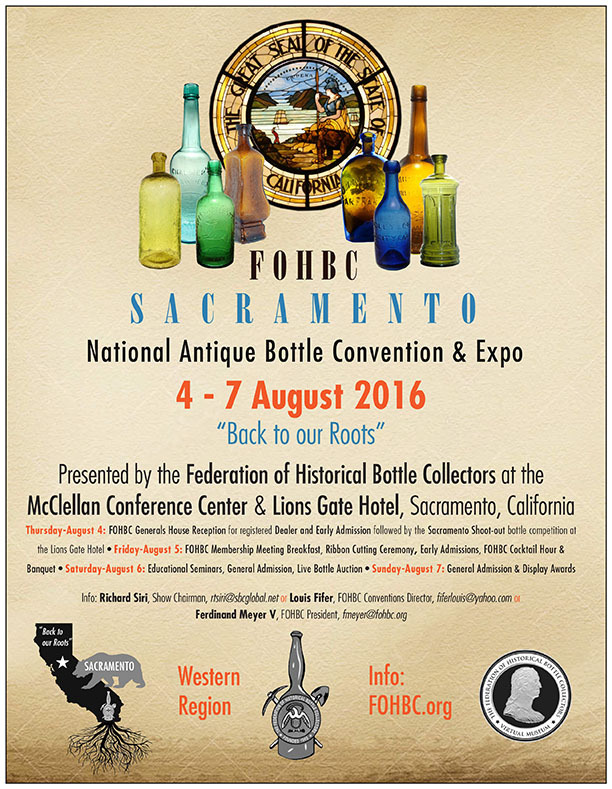 The 2016 Sacramento FOHBC show will likely be the largest antique bottle show & sale ever in California. With the "back to our roots" theme stemming back to the A B C A of Sacramento club I hope this event will draw lots of old time collectors and collections out of the woodwork! I hope every antique bottle collector will jump on board to attend this show. Bottle nirvana ! !